California Thespians is the state level organization for the International Thespian Society, an honor society for high school theatre students and a division of the Educational Theatre Association. California Thespians support students and their teachers by providing a means of recognizing and honoring excellence and dedication; leadership training for school troupes; and an annual state Festival offering workshops, performance opportunities, scholarships and the opportunity to meet and learn from Thespians from all over the state. 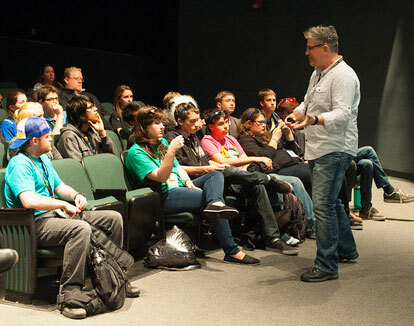 Our Parent organization, The Educational Theatre Association (EdTA), is a national nonprofit organization with approximately 90,000 student and professional members. 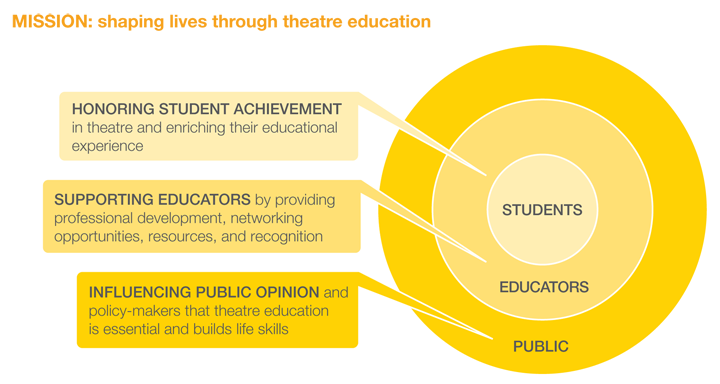 EdTA’s mission is shaping lives through theatre education by: honoring student achievement in theatre and enriching their theatre education experience; supporting teachers by providing professional development, networking opportunities, resources, and recognition; and influencing public opinion that theatre education is essential and builds life skills. EdTA operates the International Thespian Society (ITS), an honorary organization that has inducted more than two million theatre students since its founding in 1929.